Rain chains are a beautiful and functional alternative to traditional downspouts. Guiding rain water visibly down chains or cups from the roof to the ground, a rainchain transforms a plain gutter downspout into a pleasing water feature. From the soft tinkling of individual droplets to the soothing rush of white water, they are a treat to listen to. Rainchains are the newest sensation in outdoor decor, adding personality and refined style to any home. Rainchains are a functional alternative to a traditional downspout. 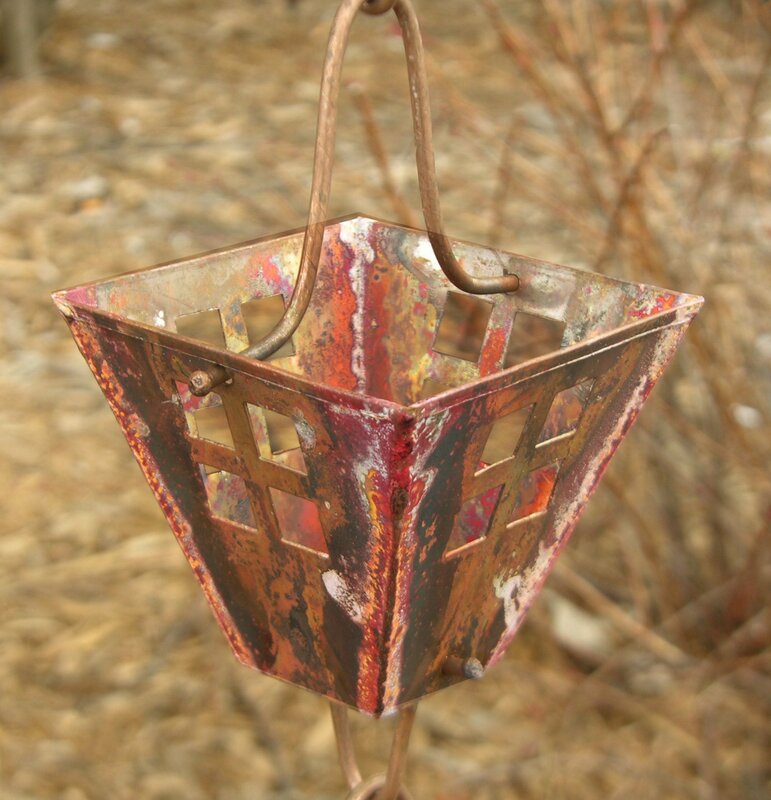 A unique and attractive, hand crafted rainchain will add excitement and positive energy to any outdoor space. Rainchains (also known as “Kusari Doi") originated in Japan and are known to date back more than a hundred years. 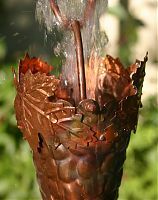 The Japanese to this day, continue to place rain chains around their gardens, temples and homes in order to practice the ancient art of "fusui" (Japanese for "Feng Shui" - "wind and water" - definition below), as well as to conserve water by directing fresh rainwater into various cisterns to be used for gardening purposes. It's no wonder why rain chains are growing in popularity in the United States. There's not an easier way to "harness your chi" (see below), and at the same time, create an interesting water feature that the entire family can enjoy. 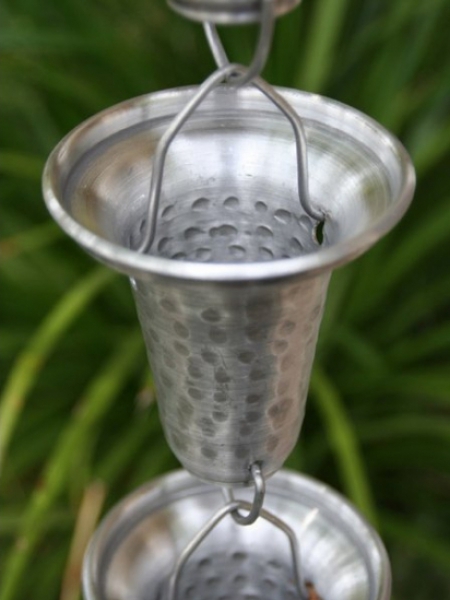 In addition, rain chains work great with rain barrels. In order to live a more sustainable lifestyle, people are using rainchains to direct rainwater into rain barrels, storing the water and utilizing it for their gardens and other landscaping needs. 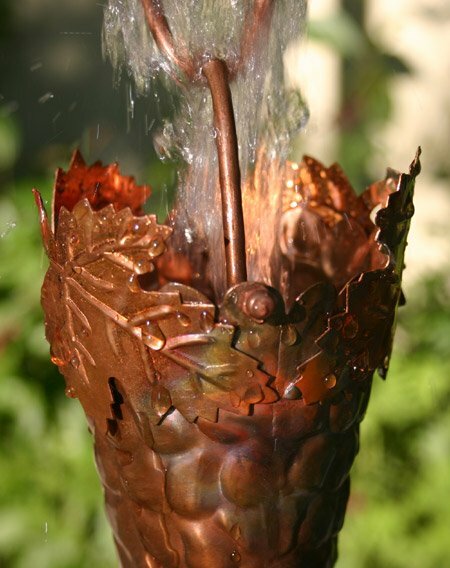 A fun and exciting way to practice water conservation. There are many benefits to a rainchain. Not only does the rainchain direct rainwater from your gutter system to the ground, it also brings a sense of peacefulness to your outdoor living space. By sitting and listening to the rain water run through the rain chain brings serenity to your ears. It is no wonder that the rainchains concept has existed for so long. Feng Shui's literal translation is "wind and water". It is the ancient Chinese practice of balancing the elements within the environment. Feng Shui is the art of placing and arranging matter and space in the correct order such that harmony with the environment is achieved. This harmony can refer to the harmony in the home, in relationships, in wealth and many other aspects in our lives. The practice has been around for several thousands of years and is still practiced in China and many parts of the world to this day. The "Chi" in Feng Shui - "Harness your Chi"
Chi (Qi) when loosely translated means air but it can also refer to other things such as free flowing energy. In feng shui, chi is defined as the freedom of movement of this energy in a specific area. Believed by many to be able to help us be in harmony or in balance with our environment and the elements around us, chi is very important in this practice. Many people who practice feng shui believe that their quality of life depends on the way the chi flows in their environment or the area in which they occupy. Are Rainchains Easy To Install? 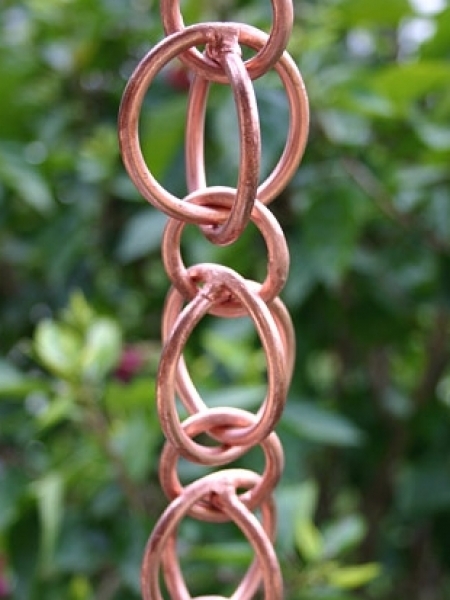 Copper Rain Chains - Let It Rain! 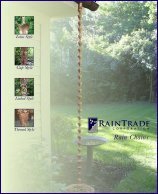 So what is a "Rain Chain" Anyway?